Setting up a vision board and setting Short and Long term goals using the Gold Lotus Oracle deck as your prompts. Tips and hints of how to action your goals. A short meditation to help ground you in the chakras. This is a relaxation that can be done anytime. Enjoy. Learning to read Oracle and Tarot Cards. 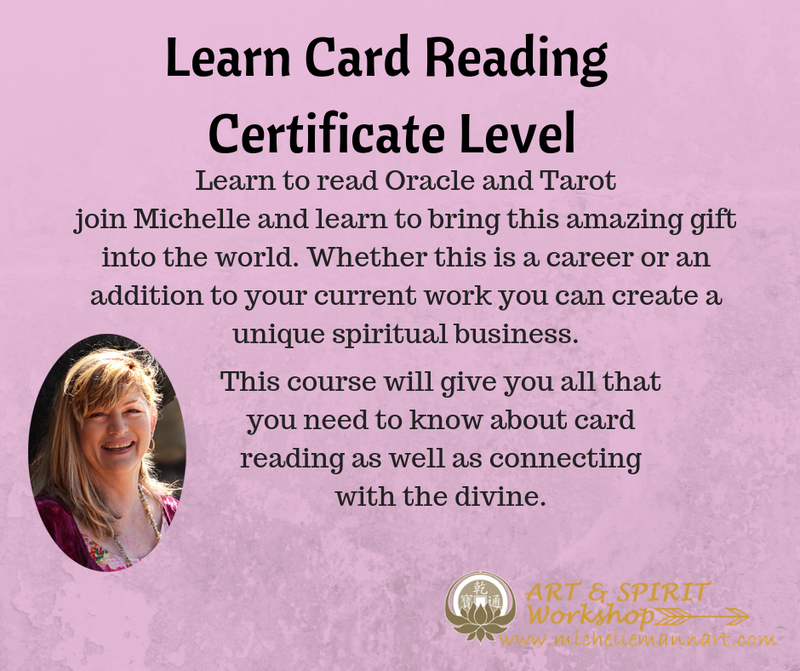 In this course you will learn all that you need to either start your own spiritual business or as an addition to your existing spiritual practice with the addition of card reading. Using the Gold Lotus oracle deck as a starting point we go within and explore with journaling as this becomes the foundation behind your art piece. Using marks and exploration of symbols we build on that foundation to ignite the muse within.